Sydney is hands down my favourite city. With beautiful beaches, great restaurants, iconic buildings and an all year round event calendar which many would struggle to beat. You can’t go wrong visiting this epic second city at any point during the year. 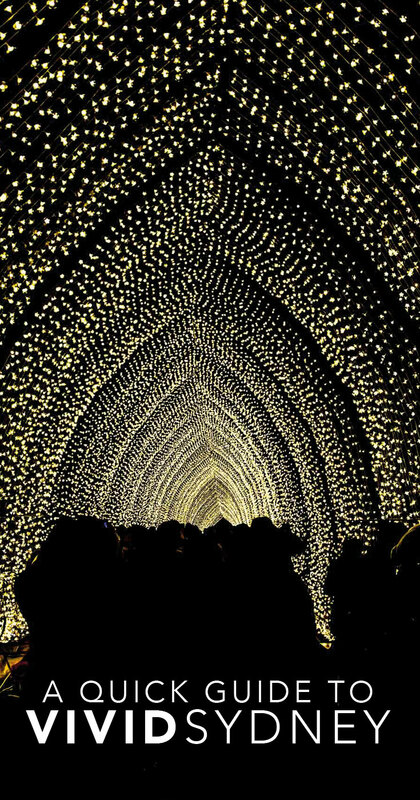 One of the most impressive and my favourite event they host is Vivid Sydney, which comes in the winter months (being a Brit, calling May/June winter takes some getting used to). It is a perfect way to break up the sometimes rainy days as the whole city comes alive with art installations, music performances and some seriously fascinating creative workshops. 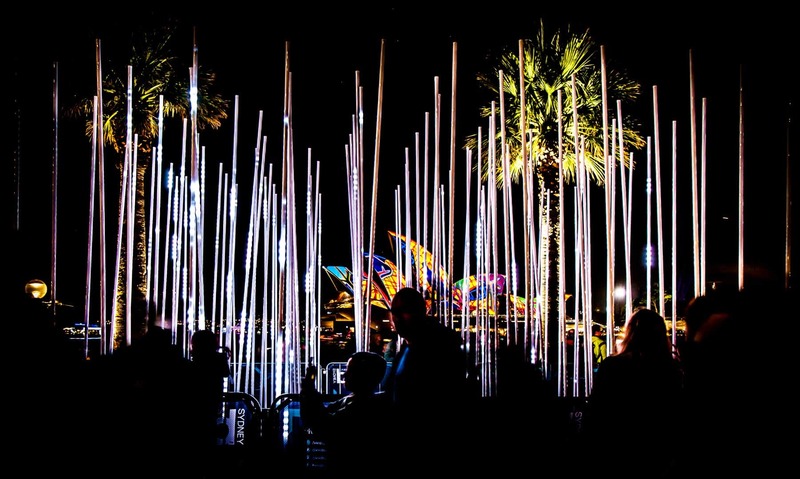 Lasting nearly a month, Vivid Sydney is one of the highlights in New South Wales event calendar. A few years ago it was constrained to relatively central locations, but gradually it has spread out to further flung parts of the city. Areas such as Chatswood and Toranga Zoo, offering some damn awesome views back to the Harbour Bridge and Opera House, even get in on the action. Whilst there is no doubt the crowds are at their busiest around Circular Quay and Darling Harbour, there are plenty of smaller installations and events dotted around the city for all ages. 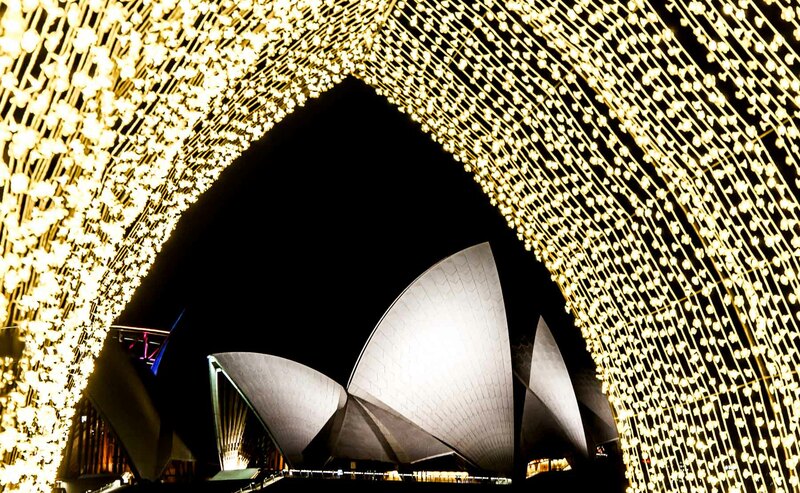 You can find a map of Vivid Sydney locations here. Sydney isn’t a cheap city (read: dammmmn my wallet’s empty already?!?) at any time of year, and during special events such as new year, certain concert, or indeed Vivid, prices can take a hike for accommodation. This makes a bit of forward planning essential and booking your Sydney accommodation as far in advance as possible recommended. If you are only planning a few days in Sydney during the festival, aim for mid-week when not only can the prices be slightly lower, but the crowds are also likely to be smaller. 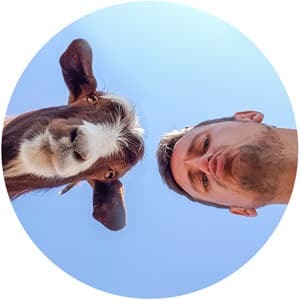 Check out this post for the best areas of Sydney to stay, even near the centre of the Vivid action you have various price points depending on location. Whilst some of the ‘Ideas‘ events, such as scientific exploration and creative collaborations are free, others are ticketed and need to be booked in advance. 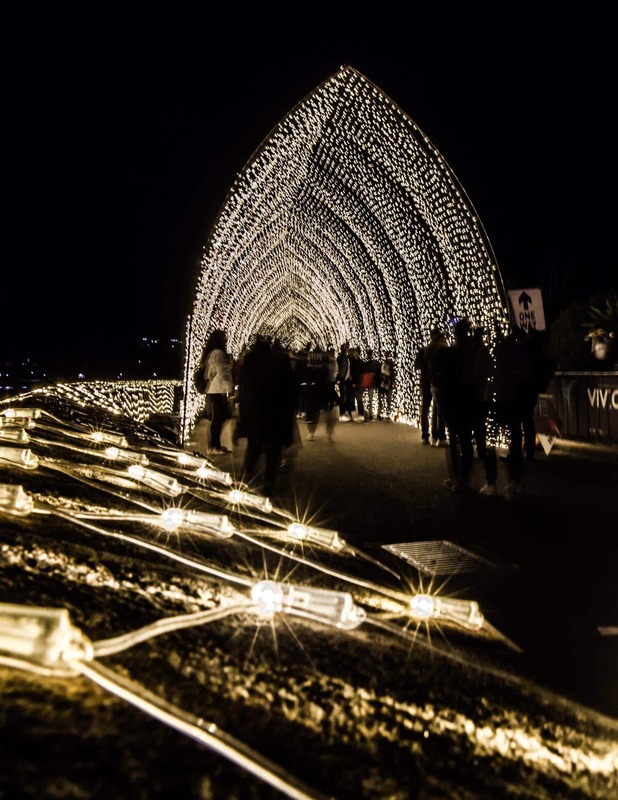 The same goes for many of the music concerts that are put on throughout Vivid Sydney. One of my favourite ways to enjoy the lights is to take the famous ferries of Sydney harbour which are running at regular prices and give you great views of everything in Circular Quay, hopefully without having to fight through the crowds. Sydney is well served by its International airport both internationally and domestically. 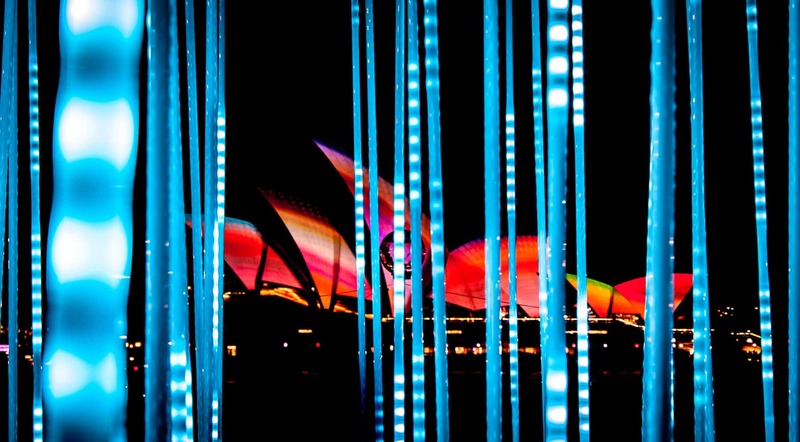 Once in the city, much of Vivid Sydney can be accessed on foot. For the parts of Vivid Sydney slightly out of the CBD the bus service is regular and reliable. Ferries from Circular Quay and Darling Harbour are also a great way to see the display from the waterways or over at Taronga Zoo. Get an Opal card and top it up so you can make the most of the slightly cheaper fares when tapping on and off. Some Sydney buses and routes are peak times will not accept cash fares so Opal is the easiest solution. 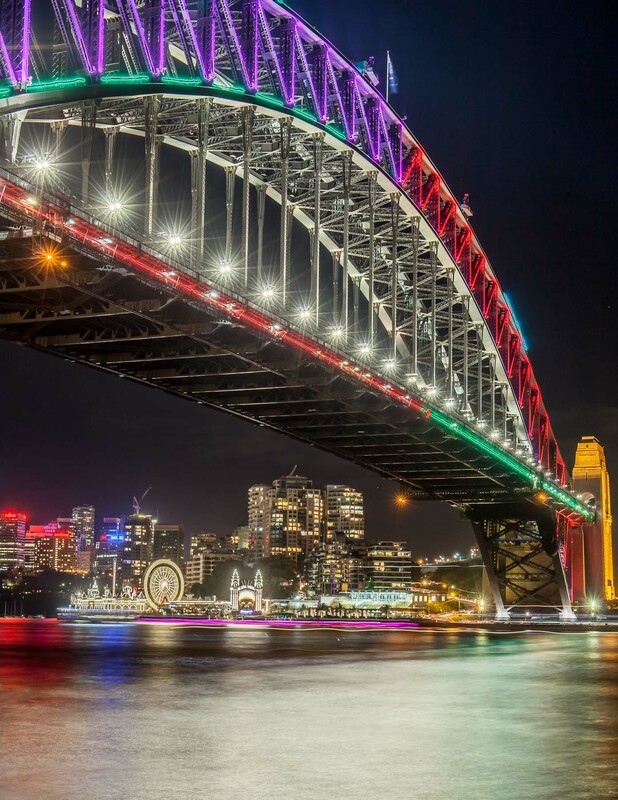 For Vivid Sydney I would highly recommend staying as close to Circular Quay as possible and luckily there is accommodation for any kind of budget, though do expect a price increase over the Vivid Sydney event.